I would back an 8 man team of MKs against our current team! Very sad news one of the old greats. RIP Mick Kennedy. Born: Salford, 9 April 1961. Died: Ireland, 9 February 2019. 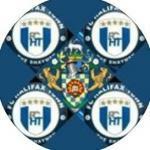 Halifax Town debut: v Bradford City (a), Division Four, 27 September 1978 (sub). Lost 0-3. Career: Salford Schoolboys; Halifax Town apprentice 5 August 1977; professional 11 January 1979; Huddersfield Town 6 August 1980 (£50,000); Middlesbrough August 1982; Portsmouth 19 June 1984 (£100,000); Bradford City 12 January 1988 (£275,000); Leicester City 17 March 1989; Luton Town 18 August 1989; Stoke City 22 August 1990 (£180,000); Chesterfield August 1992; Wigan Athletic July 1993; Lifford coach. Mick Kennedy was living proof of the old adage subscribed to by Halifax Town boss George Kirby that if you were good enough you were old enough. Having taken over a club stranded at the foot of the Fourth Division, Kirby was quick to promote Kennedy to the first team, sending him on as substitute for the game at Wimbledon in November 1978, but having witnessed the maturity in such a young player, Kennedy thereafter started every game over the next season and a half, during which time he was never once substituted, so important did Kirby consider him to the engine room of his side. Kennedy, in fact, had already been pressed into action by Kirby’s predecessor Jimmy Lawson, when, as a raw seventeen-year-old, he came on as a twentieth minute substitute for Johnny Johnston in a local derby with Bradford City at Valley Parade towards the end of September 1978, in the kind of fiery atmosphere Kennedy would grow to love. His first start followed a few weeks later but Kennedy was back playing reserve football in the North Midlands League by the time Kirby took over. He had been a product of the Salford Boys’ Club and joined Halifax Town as an apprentice in August 1977 under the tutelage of Alan Ball Snr. But Kennedy didn’t sign professional forms until January 1979, by which time he was already established in the side, albeit one stranded at the foot of the Fourth Division. Kennedy, a player with a crack left foot and a long throw among his armoury, developed a tigerish midfield partnership with Paul Hendrie during the 1979-80 season as the Shaymen enjoyed better days, and never did he relish a match more than the FA Cup tie with First Division Manchester City in January 1980, when he pitted his wits and came out on top in the dual with Steve Daley, a player who was, for a short time, Britain’s most expensive footballer. 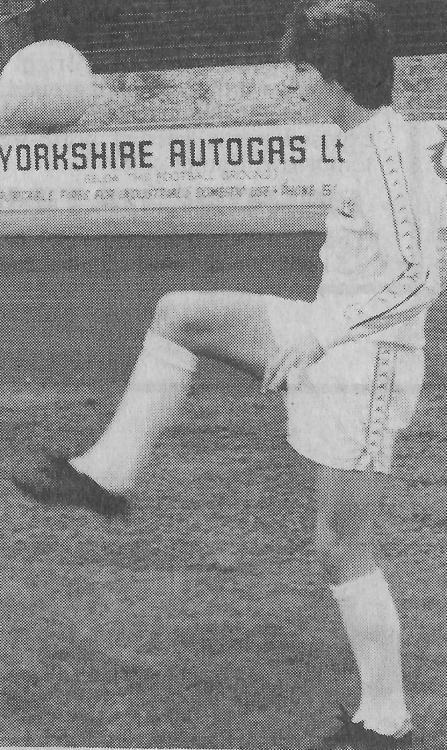 Kennedy had made 86 League and cup appearances and scored five goals for the Shaymen and Kirby saw him as a vital member of his side which he hoped would challenge for honours and was desperate to keep him at The Shay, but in the summer of 1980, after rejecting new terms, the midfielder moved across to Huddersfield Town, newly promoted as champions of Division Four, for a club record £50,000, the fee set by a Football League tribunal after Kirby had valued the player at twice that amount. Kennedy spent two seasons at the Leeds Road club, helping stabilise them as a Third Division side, before taking his combative qualities to Middlesbrough, where he played under Malcolm Allison. Kennedy had cost £100,000 but the Ayresome Park club recouped all that when he was sold in June 1984 to Portsmouth, where manager Alan Ball recognised Kennedy's battling qualities as pivotal to the cause. After a near miss in 1985-86, Portsmouth returned to the First Division with Kennedy as skipper in 1986-87 and the side’s rough-house tactics didn’t always go down well with other teams. Kennedy, himself, courted controversy when he claimed in a national newspaper that he was the hardest man in the Football League – ‘and proud of it’ – a boast which earned him a £5,000 fine. Having won three Republic of Ireland under 21 caps whilst a Middlesbrough player, Kennedy won a fourth with Portsmouth, scoring two goals in a match against England in March 1985, and in May 1986 he made the step up to the full national side, winning two caps under Jack Charlton in an international competition against Iceland and Czechoslovakia. Portsmouth’s stay in the top flight was short-lived, but before their relegation was confirmed, Kennedy had returned to Yorkshire in January 1988 to join Bradford City, helping them to the Second Division play-offs, only to lose to Middlesbrough in the semi-final. Just over a year later he made a transfer-deadline move to Leicester City before spending one season back in the First Division with Luton Town, whom he joined in August 1989. Two seasons with Stoke City followed before Kennedy wound down his career in the lower divisions with Chesterfield and Wigan Athletic, taking his total of Football League appearances to 536 and 29 goals. Kennedy returned to Clare, Ireland, where his parents originated from, and had a stint coaching successful local side Lifford AFC. In March 2018 he was inducted into the Portsmouth Hall of Fame, an honour which Kennedy claimed made him ‘the happiest man in the world.’ Alcohol-related issues prevented Kennedy from accepting the award in person and it was with great sadness that his death was announced this morning. RIP Mick Kennedy. Right up there with Paul Hendrie, Steve Bushell, Kieran O'Regan, Kevin Hulme, Jon Brown and Tom Baker, some of my all time favourite Town midfielders. Thank you for the memories. RIP to a Shay legend. Sad news indeed. The best player we had by miles in the two seasons that got me hooked on following Town in 78/79 and 79/80. Remember him scoring in the 2-1 league win over Walsall and was easily man of the match in the fantastic 2-1 Boxing Day win over the Poodles. Was chuffed to see him go on to play for Ireland. How we could do with a midfielder with half his ability now! His was the first name I thought of when I joined this message board years ago. God be with you Mick. One of the all time Town greats! 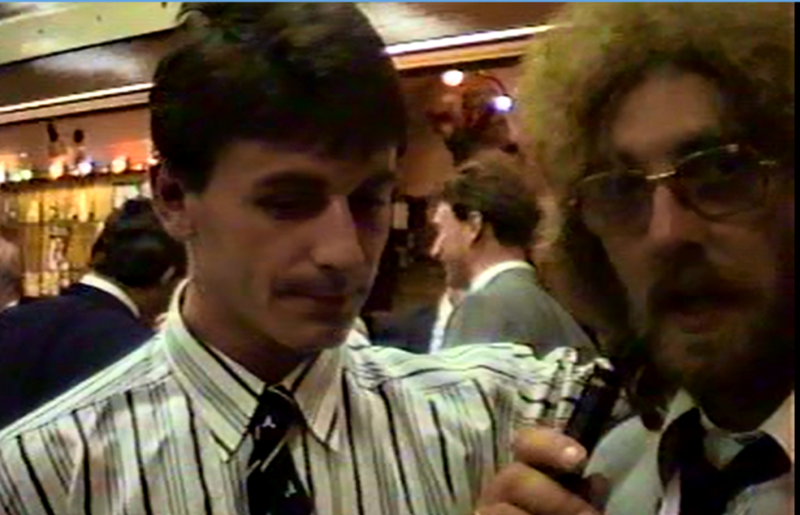 Mick Kennedy at the reunion of Halifax Town players, organised by Tony Thwaites, South Ward WMC, 9 May 1989. That was my first ever match at The Shay, and Kennedy scored from outside the box in the 2nd minute. Francis Firth got the second. It’s a sobering thought that they have both died in such relatively quick succession. Fond memories of them both and of that era. Anyone remember the last minute equiliser he scored against Darlington or Hartlepool? It was an absolute cracker from outside the box at the bus shed end. Think the score was 2 2 or 3 3. can anybody help me? So sad. How we could do with someone like him at the moment. A class act. Let’s have none of this applause nonesense on Saturday but a proper and respectful minutes silence to honour his memory. Mick Kennedy only scored two goals at the bus garage end - the opener in a 2-1 victory over Walsall on 20 October 1979, and a spectacular effort for the only goal of the game v Aldershot, 29 March 1980. Portsmouth pay tribute - worth the 6 minutes of your time this video runs! Must have been that game then. Remember the goal well but obviously the mists of time have played tricks on my memory about which game it was. Was he the lad who was given free meals when he was an apprentice by the owner of the Shay cafe as some kind of sponsorship deal ? I am not sure they were free but I remember the article in the Courier. Apparently the manager told him he was too lightweight! Strangely enough last week I started editing the video I did that this photo is taken from. Anyone know the name of the gentleman on the right? Need to put him in the credits. His death won't even get mentioned on the club's website. Shameful. All the other clubs he played for have posted warmfelt tributes, but nothing coming out of The Shay corridors. I'm sure his second name was Conway. It's all down to the present chairman, who won't associate himself with anything to do with the old club, without which, I might add, there wouldn't be his present incarnation. I think that's Tim Gregory. The "Conway" that Shaymus is thinking of is probably Tim Conway that used to run the Brown Cow. Sadly both gentlemen passed away in the last few years. Location: Dreamland induced by"Brown falling down water"
Club hasn't been going long enough for a Hall of Fame. Everything before 2008 is a figmant of our imaginations or the effects of your "happy pills"